GHOST LIGHT by Joseph O'Connor, released as MUSE in France, has been long-listed for two prestigious literary prizes in France - the Prix Femina Étranger and the Prix Médicis Étranger. The former was created in 1904 by twenty-two writers in France, and the winner is decided each year by an exclusive female jury. Previous winners have included, Sofi Oksanen, Nuala O'Faolain, Joyce Carole Oates, Erri de Luca and Amos Oz. REDEMPTION FALLS was also nominated for this award in 2007. The winner for this year's prize will be announced on 2 November. The Prix Médicis Étranger is a prize that celebrates foreign novels in France and was created in 1970 in association with the the Prix Médicis for French novels. Previous winners include David Vann, who won last year, and Aharon Appelfeld, Orhan Pamuk and Enrique Vila-Matas. Other novelists that have been long-listed Eleanor Catton, Jonathan Franzen, David Grossman and Alessandro Piperno. GHOST LIGHT, is published by Phébus in France and Harvill Secker in the UK and by twelve other publishers around the world. 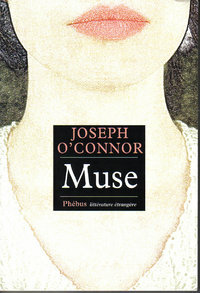 Joseph O'Connor has received wide acclaim for this novel both overseas and in the UK.